One of the nicest things about this university is that students complete exactly the same programs and degrees as they would find at either IU or Purdue, including the highly ranked Kelley Business School at Indiana or the engineering at Purdue. My tour guide will graduate this year with a double major in Bio (her degree will be granted by Purdue) and Spanish (granted by IU) with minors in Chem and Psych (granted by Purdue) – and she can walk in both schools’ ceremonies if she wants. She said that one of the major advantages of attending IUPUI is not only being able to combine things, but that the students have all the resources of downtown at their disposal, including a huge array of internships. My tour guide is currently shadowing a doctor and doing stem-cell research. A friend of hers is interning with the mayor. Others have done work with the police, in business, with the sports teams (including the Colts). 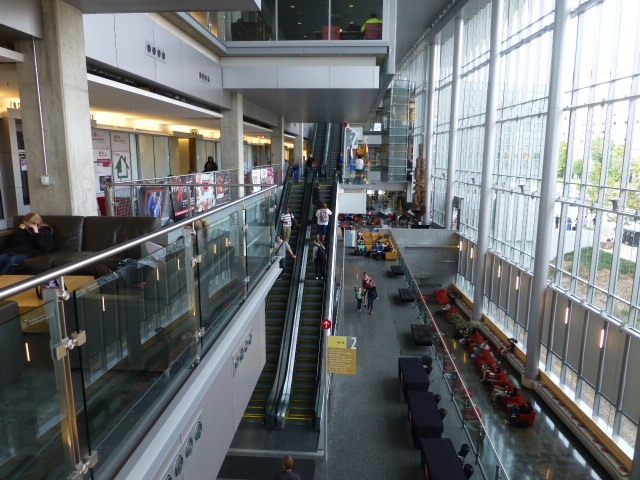 The Campus Center is an amazing 4-story glass building and is really the hub of campus. There’s food, student offices, entertainment, the post office, study spaces, and much more, including the health center. “I’ve had to use it a couple times and loved the care I got there.” Lots of clubs have offices or meet in this building. There are over 300 organizations available for students, and Greek Life is growing. My tour guide has started a Donate a Holiday club which collects presents, packages them up, and gets them to people who might otherwise not have anything for the holidays. They have the only accredited art school in the state, including art therapy. They offer a BS and MS in Motorsports Engineering; the master’s is the only one in North America. The students in this program beat Purdue in their own race! A Confucius Institute. 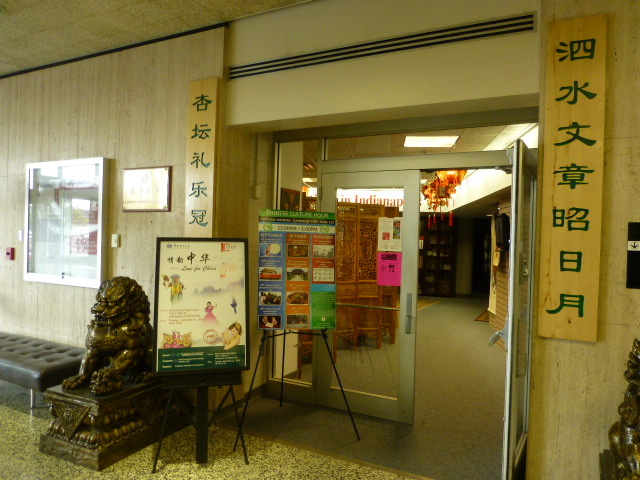 This offers language classes and activities surrounding Buddhist and Chinese culture. There’s also a Zen Garden on campus. The Scholarship Office. They are nationally ranked for their scholarship opportunities. A male accidentally applied for a Single Mother scholarship – and got it because no one else applied for it! The Honors College provides an $8000 scholarship, a study abroad stipend, and housing that comes with a stocked kitchen! Students need a 3.75 and 1250 SAT to get in when they first start, or they can apply to get in once on campus if they have a 3.5. 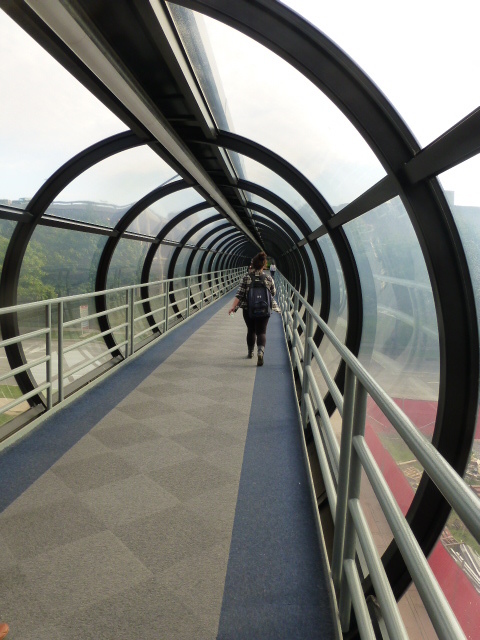 71% of the campus is connected by walkways or tunnels. The have one of the fastest pools in the country. I asked what made it so fast and she said it had something to do with the way water was circulated through the system. They have a lot of banners up of swimmers who swam a personal best in that pool. Michael Phelps was up for a long time until he beat his own record in Beijing. They have some of the best job rates around, ranking #2 in Indiana. IUPUI is highly rated for the diversity on campus. The tour guide said that the level of diversity was one thing that really surprised her when she arrived on campus. 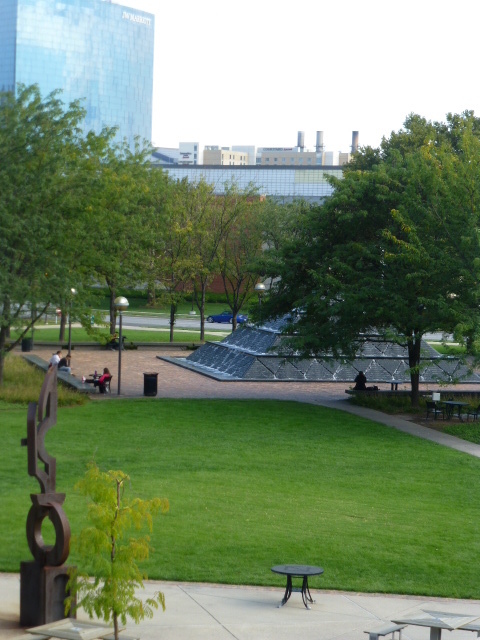 IUPUI has 30,000 students, but only 2,000 live on campus. 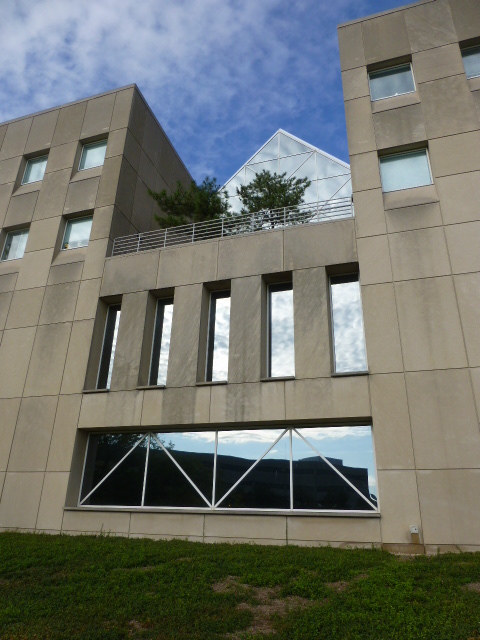 There are 2 freshman dorms, including the Tower which had been a 4-star hotel. The New England Patriots stayed there when Indianapolis hosted the Super Bowl. As the tour guide said, “If it’s good enough for Tom Brady . . ..” There are also the Riverwalk apartments, townhomes, and other options with more being added. She raved about the food. The breakfast bar is open until 11 pm; that’s a big hit with the students. Students can have cars; parking costs $135 per semester. They do have a parking garage. However, a lot of students take advantage of public transportation which is convenient because of its location in the city.